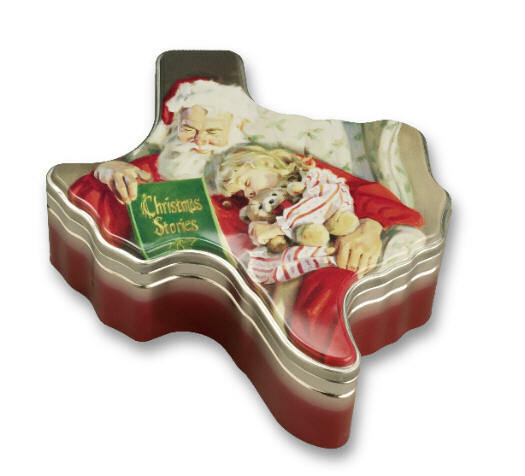 The “Christmas Stories” Santa Tin is a Limited Edition production. 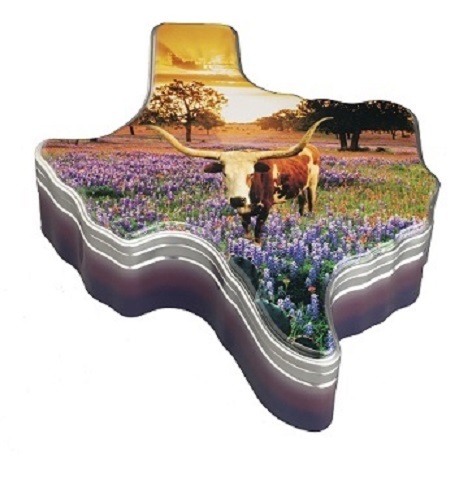 The cover is a digital reproduction of a painting titled Christmas Stories, by world famous artist Tom Browning. Yes, the same guy who did the Coca-Cola Santa. 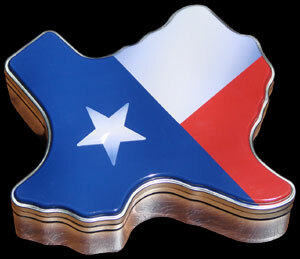 The Texas-shaped tin is available for purchase empty allowing you to fill with your own Holiday treats!